Base sits down with renowned Portland architecture critic and talks all things design. Design-build and the broader notion of architects working collaboratively with builders is a big deal for Shreiner and Flanderka, and a "base" of the firm. "Having a thorough understanding of that process and what it can allow, we really want to cross-pollinate our build team and our design studios," Shreiner says. And, adds his partner, "It really influences our design work. Drew and I will get out there and swing hammers. You really start to realize what your drawings translate to and don’t translate to. It’s greatly improving our design work." 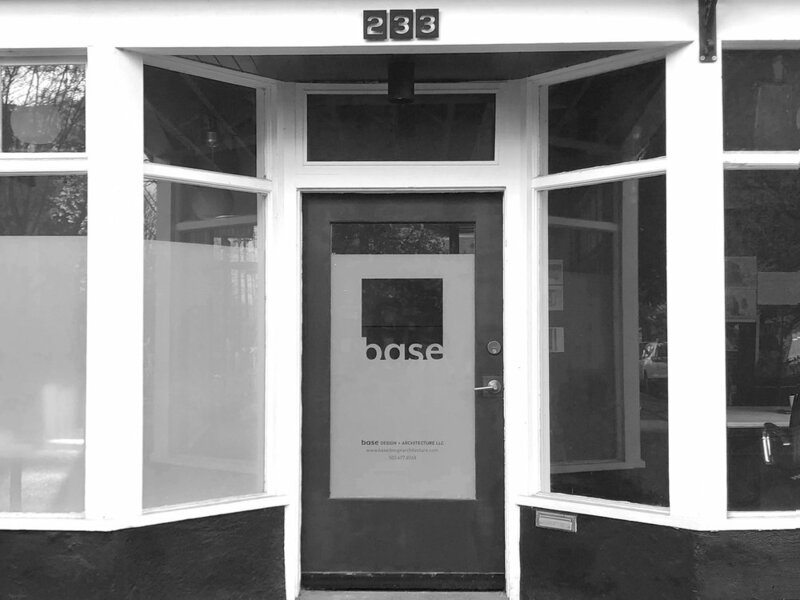 Base Design + Architecture is setting up shop at a new location in NE Portland. We are excited to be occupying a storefront office in the Laurelhurst Neighborhood at NE 28th and Everett. Click for more photos from the show! 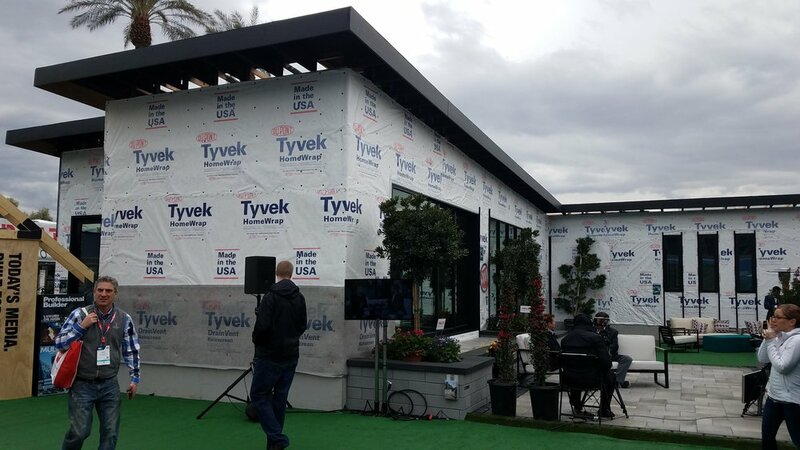 One of our modular houses was on display at this year’s International Builder’s Show. Partnering with MODSPDX, our goal was to create a high-end modular home where the integration of the mods were so seamless, the overall building felt cohesive rather than a ‘kit of parts.’ The mods were constructed at the MODSPDX factory in Portland, Oregon and then transported down to the show in Las Vegas. An ADU in SE Portland begins construction!